VENEZUELA, Jan 23: Venezuela's President Nicolas Maduro on Tuesday accused Washington of ordering a coup against his government and called for a "total revision" of ties with the US. The latest claims by Caracas of a US coup plot came the day before a mass street protest announced by the opposition, and one day after a mutiny by some soldiers. Maduro was specifically reacting to comments by US Vice President Mike Pence, who posted a video on Twitter branding Maduro "a dictator with no legitimate claim to power." Referring to Wednesday's planned opposition rally, Pence added: "As the good people of Venezuela make your voices heard tomorrow, on behalf of the American people, we say: estamos con ustedes. We are with you." Maduro responded during a radio and TV broadcast that "what the government of the United States did through Vice President Mike Pence, was to give orders to carry out a coup from the fascist state... which is unparalleled in the history of relations between the United States and Venezuela in 200 years." He ordered Foreign Minister Jorge Arreaza to begin "a total revision of relations" with Washington, which has already sanctioned top Venezuelan regime figures. With Maduro's government ominously predicting there would be violence against opposition protesters, US Senator Marco Rubio warned Venezuela's intelligence service to "reconsider the plan they have for tomorrow before it's too late." "You are about to cross a line & trigger a response that believe me you are not prepared to face," the Florida Republican said on Twitter. Rubio urged prayers for "the thousands of Venezuelans who will face danger & difficulty in the hours ahead. May God give them strength. 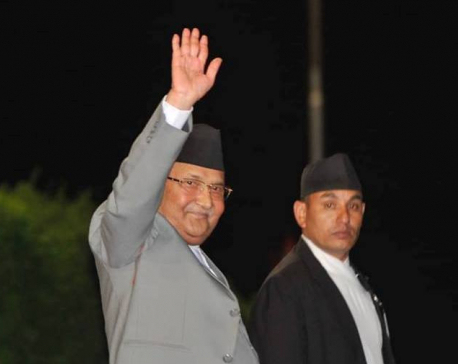 And may he change the hearts of military leaders so that they protect not repress their fellow countrymen." 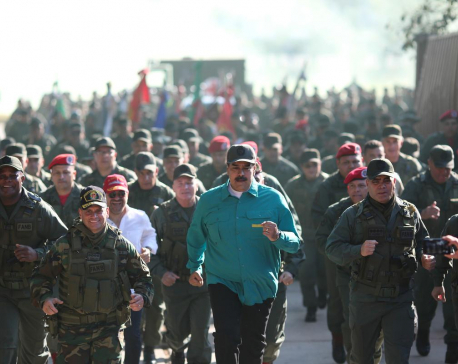 The Venezuelan government's rhetoric intensified the day after a group of soldiers rose up against Maduro at a command post in the north of Caracas. They published a video on social media calling for the public to come out and support them. But they surrendered after police and military units surrounded the post, and the 27 soldiers were arrested. Their voices were heard, though, according to the non-governmental Social Conflict Observatory, which said on Tuesday that anti-Maduro protests were recorded in at least 30 different locations around the capital. The Organization of American States, which has declared Maduro's new term illegitimate, plans to hold an extraordinary session on Thursday to discuss "recent events in Venezuela." "Yankee go home! We won't let them interfere in the affairs of the homeland," Maduro's Vice President Delcy Rodriguez said in televised remarks, while Communications Minister Jorge Rodriguez accused Pence of having ordered "terrorists" to carry out acts of violence during Wednesday's protest. 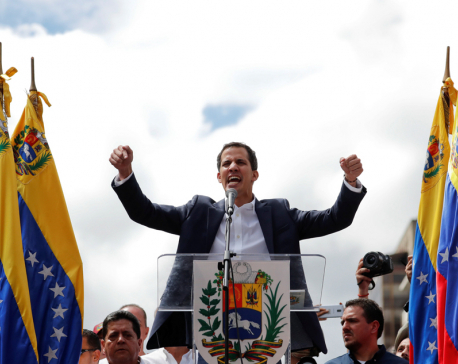 Demonstrators are set to mobilize behind the National Assembly's new president Juan Guaido, who has branded Maduro a "usurper" and wants to establish a transitional government leading to elections. Maduro's administration stripped the Assembly of its power but Guaido has risen to the challenge of taking him on. The movement has gained traction since Maduro was sworn in for a second term as president on January 10 after he won controversial elections. Unrest triggered by Monday's troop uprising lasted in some places until Tuesday morning. 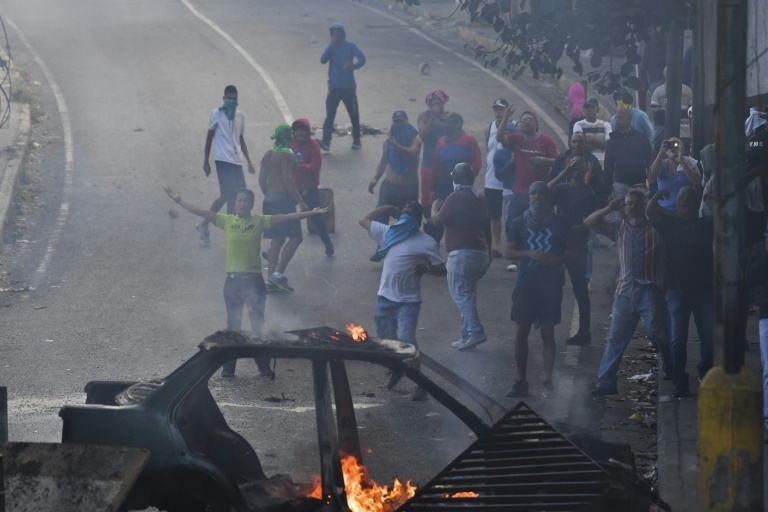 One protest, in which people pelted cars with stones, took place on the motorway linking Caracas to the neighboring port of La Guaira, where the capital's airport is located. The opposition accuses Maduro of running an authoritarian regime and acting unconstitutionally. The regime has responded by announcing its own demonstration in support of Maduro. It will be the first major street movement since 125 people were killed during civil unrest between April and July 2017. Venezuela is suffering the worst economic crisis in its modern history. Food and medicine have been in short supply, while spiraling inflation -- predicted to reach a mind-boggling 10 million percent this year -- has crippled the currency.